After four straight losses to start the season, a masterful Danny Hoesen helped San Jose batter the Portland Timbers 3-0 Saturday night to earn heir first victory of the season. 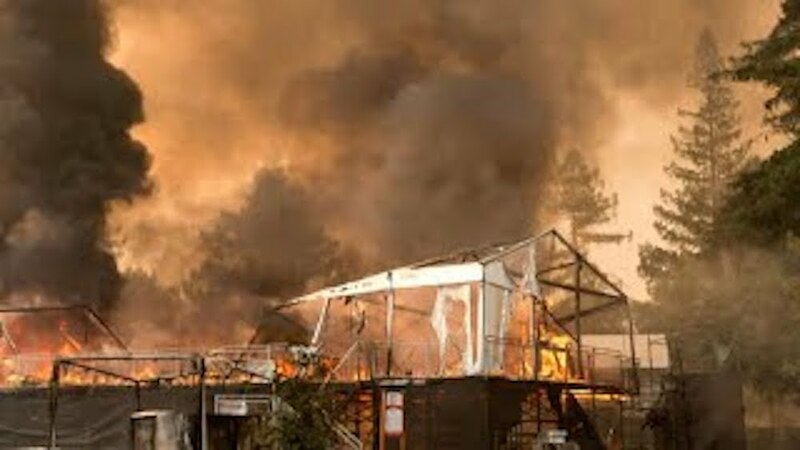 The original headline for this story misspelled the name of Earthquakes forward Danny Hoesen. SFBay regrets the error. The victory was the first in MLS for head coach Matias Almeyda, who began his Quakes tenure with four straight losses. Unlike previous games this campaign, there was no San Jose mistake that lead directly to a Timbers goal, or even a chance. This wasn’t just the most impressive offensive display for the Quakes, it was also the most impressive on defense. Hoesen, last seasons leading scorer and team MVP made his first start of the season and looked incredibly sharp from the start generating chances for himself and his teammates early and often. Hoesen almost started the party for San Jose in the third minute sending a perfect pass across the box that was just out of reach for Magnus Eriksson. The Quakes breakthrough, however, came in the 15th minute. After Timbers keeper Jeff Attinella denied Hoesen’s attempt on goal, Cristian Espinoza gained possession of the ball. 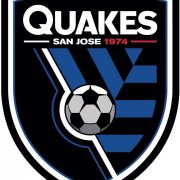 From the right flank inside the box, the Quakes winger exploded horizontally towards goal and squared a pass inside the keeper’s area where a waiting Shea Salinas tucked it home giving San Jose the early 1-0 lead. Hoesen’s impact in the first half was more than just creating missed chances, as he made one count in the 32nd minute. An Eriksson shot was parted away by the Portland keepers foot, but he was not able to control the rebound. The ball trickled parallel to the goal line until an opportunistic Hoesen netted the ball into top netting with no keeper in sight. Seconds later, before the buzzing in the stadium gradually passed, the Quakes put the game out of reach on an Espinoza breakaway. The number 10 streamed into the box after quickly gaining possession back and blasted a seething right footed shot into the bottom left corner giving San Jose a 3-0 lead, much to the delight of head coach Almeyda, who was in a massive celebration with his assistants. It was a stunning first half hour plus of action. To start the second half San Jose looked much more reserved perhaps hoping to run out the clock. While playing with the lead, the San Jose defense looked calm, compact, and in control. Any Timbers action was stamped out by defenders before it got too dangerous. In the 56′ minute, Portland Timbers Sebastian Blanco’s shot toward goal clattered into the hand of a diving Harold Cummings. As a result, Cummings was awarded a yellow and Portland a penalty kick. The dangerous Diego Valeri took the penalty and initially sent goalkeeper Daniel Vega the wrong way, diving to his right, but Valeri’s attempt was right down the middle and Vega miraculously saved it with his foot, preserving the clean sheet and denying Portland a consolation goal. Nick Lima, who was the first name on the team sheet for all of last season, was on the bench for the second straight game. Lima almost gave coach Almeyda something to think about in terms of team selection when he came on as a sub and hammered home a screamer into the top left corner. Video review eventually ruled it no goal, thanks to an Earthquake forward lined up offside. Thompson, formally a midfielder, made another start at left back and looked comfortable throughout. Center back Florian Jungwirth made his first start of the season in place for the injured Guram Kashia. 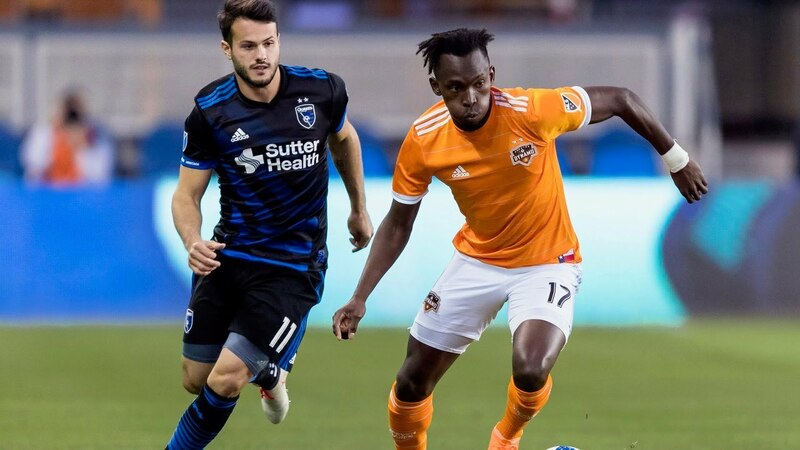 San Jose hopes to extend their newly found winning ways next Saturday April 13, when they hit the road to take on the Houston Dynamo for a noon kickoff.